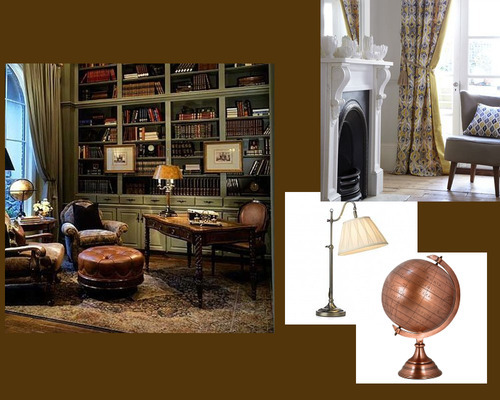 Shine Lighting Limited: Inspirational Study Spaces - Recreate your home office. Inspirational Study Spaces - Recreate your home office. The kids have all gone back to school and I suddenly found myself stuck in traffic this week. So now is the time to give yourself back some ‘me time’ and relish in the peace and quiet. Do you work from home? Are you currently studying or engrossed in your own personal project? If you answered yes to either of those questions you will find yourself spending as much time in your study as you do in your living room. On those days where you feel uninspired – or have the dreaded writer’s block – why do you force yourself to stare at blank walls? Practically, an office space or study is just a desk and a table lamp. However, in reality, it is a fantastic opportunity to create a space that inspires you. Decoratively, you should be taking as much care for it as you would with your bedroom or living room. 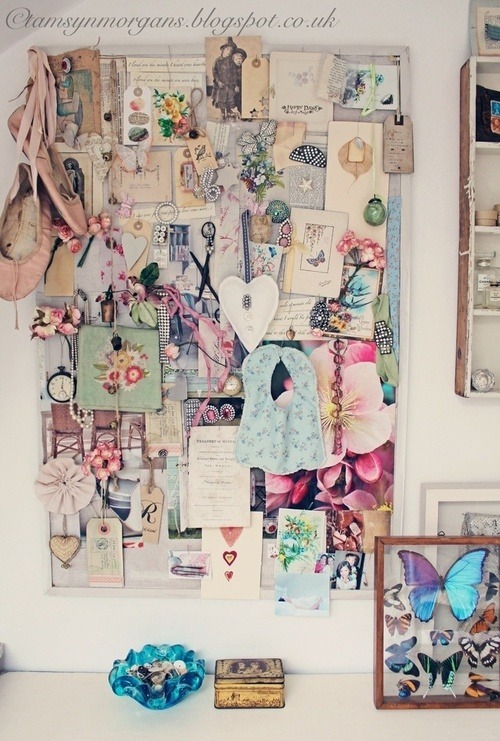 Use it as a space to display photographs, pictures that inspire you or a well-designed mood board. My mood board is just an A1 pin board decorated with scraps of material from previous art projects and momentous pinned on top. However, this burst of colour when my mind is blank is so useful to set my mind back on track. I'm definitely considering adding some fairy lights or a few picture lights to add some low level lighting. Idea 1 – Luxurious traditional. There is always something rather romantic about the traditional style office. With a couple of leather sofas, it also doubles up beautifully as a reading room. Tradition Lighting is also really easy to get hold of. So you are not limited by choice. Desk = Think oak or another natural wood. Desk furniture = Desk lamp / Table lamp – we’ve found this perfect traditional desk lamp by Dar lighting (Suffolk SUF4075/X) which has a beautiful matching floor lamp available. You can also go for a traditional Bankers desk lamp. In addition, nothing says more ‘traditional’ than a globe finished in antique bronze. We’ve just found (yesterday when the new Endon catalogue landed on my desk) this amazing one - it will be on the website soon! Floor = Think Natural wood or carpet - in combination with a beautiful rug. If you need a hand with choosing the right size for your space we have found the most amazing guide from Decorators notebook . Desk chair and sofas = something leather is definitely where you want to be looking. If you can get them all to have matching finishes, this would look amazing. Curtains = These beautiful green curtains are Lambok from Clarke & Clarke = available from gilroycurtainsandblinds.co.uk . Gilroy Interiors found this beautiful set of curtains for us. This material is decorative and had a lovely traditional design. As these floor length curtains the fabric really looks amazing. If you find the fabric for your room they can create curtains for any window size. This is ideal if (like me) your windows don't fit the usual conventions for window sizes. The walls = Cover at least 1 in a floor to ceiling bookshelf. This is great storage space for your books, folders and momentous etc. The other walls can be covered in a colour to match your soft furnishings. This idea is ideal for those looking for a style a bit more modern and minimalist. It’s also a little bit easier to recreate without too much decoration. This is really great for a craft or hobby space. The style makes use of contrasting colours and smooth lines. Desk = You can get some fantastic glass or black/white pine desks. Ideally find yourself one with built in shelving. Great for some storage that you can keep hidden away. Desk furniture = We found these fantastic pencil holders from Etsy seller Making Time . If you are trying to keep to the theme, Black and White style desk furniture and ornaments are widely available. Lighting = Lighting finished in black is really easy to find. There is a huge range of styles available. If you are looking for something a bit retro then this Mathmos Black Lava Lamp is an amazing option. Floor = If you’re planning on using this room as a craft room you will probably not want a thick carpet. I’m always dropping pins and it’s always best to find them before they find you! So thin carpet or painting wooden floors would be a great way to go. Desk chair and sofas = For your desk chair you have lots of options. There is a huge range of black office furniture available. From experience, something comfortable with black leather is ideal if you plan on long sessions creating your next masterpiece. Curtains = This space would be perfectly finished off with a set of black blinds. You can find some beautiful fabric and slat blinds. They are perfect for a more modern styled space. The walls = You can even bring a bit of black of white to your walls. We think this stripped paper by Clarke & Clarke from Gilroy Interiors would look fantastic as a feature wall (either horizontal or vertical)! 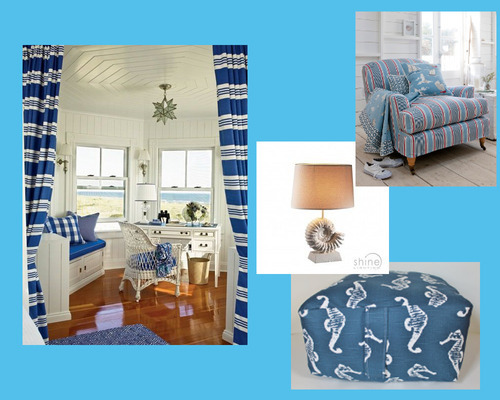 Nautical blue is really an on trend design idea for the year. If you love this idea as much as I do then you’ll love these ideas for bringing that concept into your home office/hobby room. Desk = Ideally you want to be looking for a white desk or a light colour natural wood desk. The concept of natural materials works really well with this theme. Desk chair = A wicker chair would look fantastic in this space. Perhaps use a sheepskin rug or blanket to make it a little more comfortable. Light = To keep up with the nautical theme, we found this beautiful nautical inspired lamp from David Hunt Lighting. This gorgeous table lamp looks fantastic withing a nautical themed room. The natural stone base means it will also match any other colour your decide to add to the space. If you need something a bit brighter, perhaps combine with some spot lights? This will ensure you have bright light exactly where you need it. Sofa’s and seating = We have been really lucky in our searches here. Gilroy Interiors were amazingly helpful in finding us this beautiful maritime sofa. If you already have a sofa, getting some nautical themed fabric made into a quilt or pillows by would be a great way to tie in this theme. While looking at Etsy we also found this beautiful seat - Ideal if you’re working on something larger and want to get away from the desk. I really hope you've found yourself feeling more inspired to create your own inspirational space.